Here is a registration form to complete, if you think you’d like to join us – or to express your interest in future workshops or classes. Apply now for this intensive 4-week programme of Acting led by Giles Foreman, including Character Analysis stages! Please also see our INTERNATIONAL page for details of special workshops in other locations in Europe and the USA! ACTING in FEBRUARY / MAY / OCTOBER, ideal for those wanting to focus intensively for FOUR full Saturdays in a row. The course is a useful grounding for anyone wanting to build a strong foundation and hone skills; each Saturday 10.30 – 6 pm. 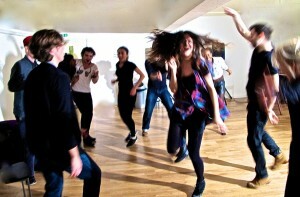 It is a total of 28 taught hours, and it follows the successful model of our 5-day Acting workshops [April / August / December, see below], in that it includes intensive but enjoyable acting classes each time, plus improvisation, voice, movement and Presentation classes all taught by our leading coaches. We have pegged the fee at £290, the same as the evening Introduction to acting! Following the course, students are invited to join our successful evening acting courses, or other workshops and courses run by GFCA. With sessions in Voice, Movement, Improvisation and Presentation as well as a strong core of acting, you can develop your range and confidence in these intensive days! Learn more about acting, from many perspectives. Work with the technical skills needed to expand your imaginative powers, learn how to use yourself and your experiences in your acting, how to breathe life into characters, how to break down a script and much much more! By the end of the course you may decide to explore acting on a deeper level in regular acting classes or workshops at the Centre. Even if not, you will be able to apply many of these skills in other walks of life, and hopefully, will feel far more confident in your ability to communicate in public. Suitable for age 17+, with no upper age-limit. Really work your audition and presentation skills, especially before that important drama school audition! TWO-DAY ACTING FOR COMPLETE BEGINNERS! Would you like to learn about Acting? Are you a complete beginner? If so, why not come and try a short course with a great coach, in a friendly, comfortable environment in Central London. Find out about the basics, and see if it’s for you. You’ll learn a lot, and have fun! Part two dates to follow. These intensive Meisner workshops at GFCA are designed so that the four days’ content parallels what would be about a month of Meisner’s class-work, so the process is both intense and deeply insightful. Over the course, Dannie works with actors from the ‘bare-bones’ up – the first day of Sanford Meisner’s technique, which he developed in response to actors continually being hijacked by their self-consciousness, and their lack of ability to really listen to what is going on around them as they work. During the first workshop, Dannie addresses the art of listening; how to begin acting truthfully moment to moment, investing in the reality of doing, and public-solitude work. During the first day students are introduced to the famous ‘repetition’ exercise. She further breaks down the concepts – working to invent nothing, deny nothing and work only (yet fully) with impulse, whilst training the attention to stay on the other actors and activities. The second workshop introduces actors to the three-moment game and looks at how to really sharpen technique with the ‘essential call’, however Dannie works responsively with those on the course, tailoring the level and intensity to suit. The workshop focusses on how the actor can discover and acquire the physical essence of a character using Animal Work. By studying the behaviour of an animal in detail we become aware of the animal’s world and of its instincts. The animal’s instinctual complexity is an essential driving force of its physicality and therefore a key component to be developed for the character. Liana Nyquist explains the reflective relationship between the physiognomy (and behaviour) of the Animal and that of the Human, which can then be extended to characters: (predators-preys, heavy-light, fast-slow, majestic-agile, encaged-free, etc). Liana shows how to use our human spine to capture the animal’s way of moving through space. Once we understand how to capture the animal’s physical essence, Liana teaches how to develop it, using our own body to give it to our character. Please have a character ready, with a monologue you have prepared or would like to work on. This workshop is ideal for actors who wish to develop their voices for flexibility, range, confidence, support and control. Many actors feel inhibited when singing – the inner critic steps in! This 2-day workshop gives support and space to explore each person’s vocal USP, and the opportunity to try out different song repertoires. Using group exercises for physical and vocal dexterity; articulation; vowel-placement, relaxation and breath-support, pitch-awareness, dynamic range and resonance. We work in whole-group, small-group, pairs and individually; involving both spoken and pitched sound and harmonisation, and analysis of how sound is produced. The whole is designed to build confidence and range, and to be stimulating too! All our Masterclasses & Workshops are taught by experienced practitioners – see our Teachers and Visiting Tutors pages for detailed biographies.